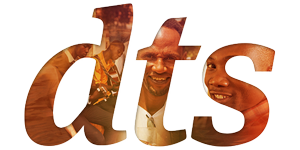 DTS is a 5 ½ -month course consisting of 12 weeks of teaching, 8-10 weeks of practical „on-the-field” training and a final week of evaluation. You will join with students from all over the world in a classroom setting for 3 months. Each week we focus on a different aspect of God, our relationship with Him, and how He uses you to make a difference. DTS students live together in community and share the tasks of cooking and cleaning. Each week you have the opportunity to impact the city and participate in ongoing YWAM ministries. The Outreach is 8-10 weeks long. You could apply what you have learned in the lecture phase by blessing another nation. You will be serving alongside long-term missionaries, a church or other mission base, in another country through: evangelism, practical work, teaching, prayer and intercession and more. During this phase, we will debrief and evaluate the entire 22 weeks of the DTS, a time designed for students to reflect on all God has done, bith in their lives and through their lives. It is also a time to help students make the transition from their DTS experience to whatever lies ahead of them. Copyright © 2016 Youth With A Mission Romania. Dezvoltat de ProclaMedia.